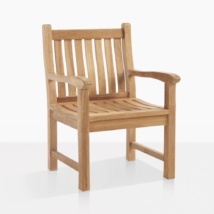 Sturdy and solid, the Newport Arm Chair is a must for the country garden, a seaside verandah or your charming porch. At convenient dining height, this robust armchair is ideal for long lunches, outdoor dinners or just relaxing outdoors with your favorite book. 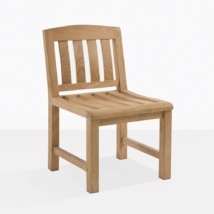 Featuring an attractive lower back rise, perfect for complementing a large area overlooking a view, the Newport Arm Chair looks great with a variety of our A-Grade teak dining tables! 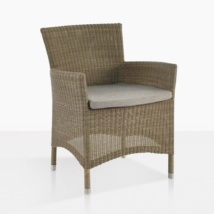 Try it out with the Square Pedestal Table for an inviting outdoor dining composition; ideal for large family style dinners. 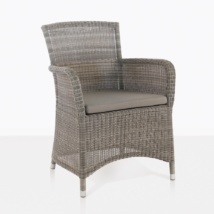 W26" x D24" x H34"
The Newport is also available as a Side Chair, so you can create a long, luxurious setting for when extra guests turn up. Place a Newport Arm Chair at either end of a South Bay Table and line the sides with the Newport Side Chair. 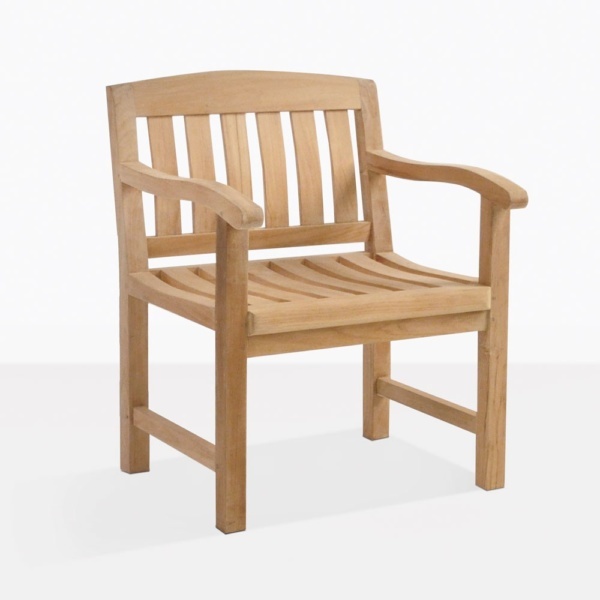 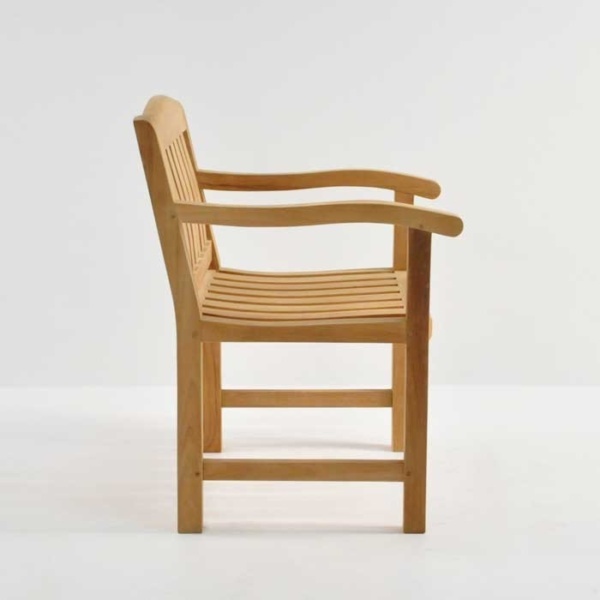 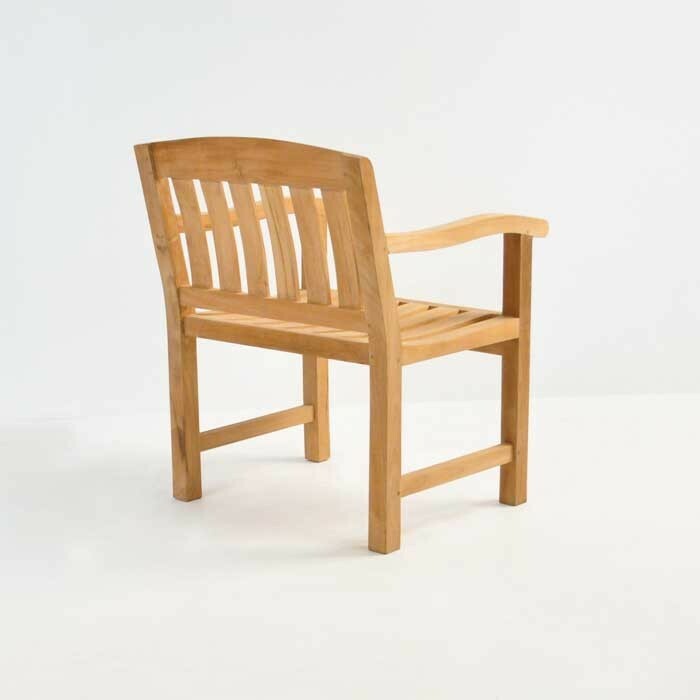 Constructed using the finest A-Grade Teak, with marine grade glues and fittings; the Newport Arm Chair is a stalwart member of the Teak Warehouse collection, and will become a go-to spot for you and your family.